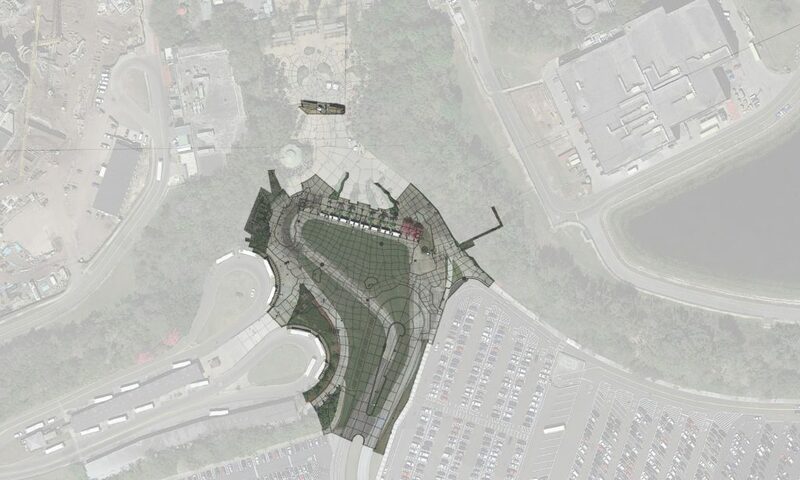 According to permits filed with the state, Disney is looking to overhaul the entrance to Disney’s Animal Kingdom. 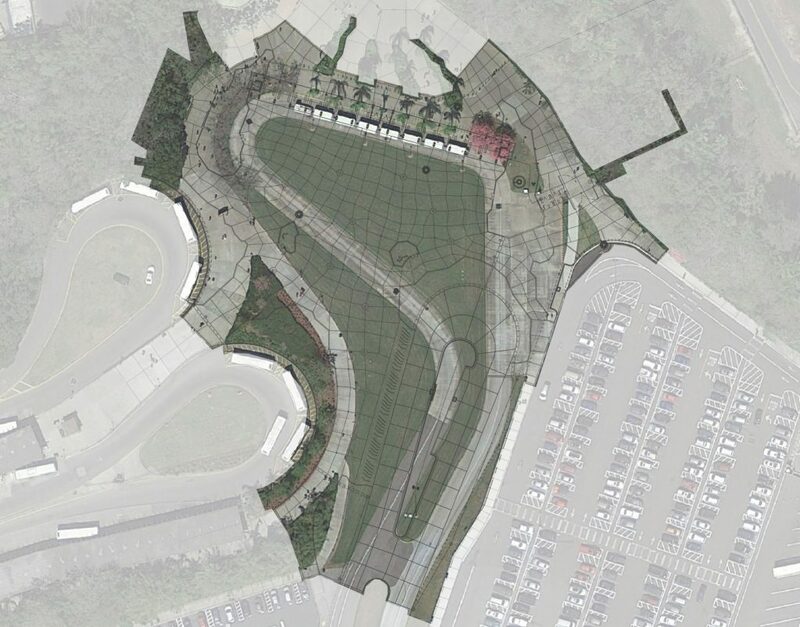 The plans call for a substantial modification to the tram drop off area as well as changes to bag check. We outline the known changes below. 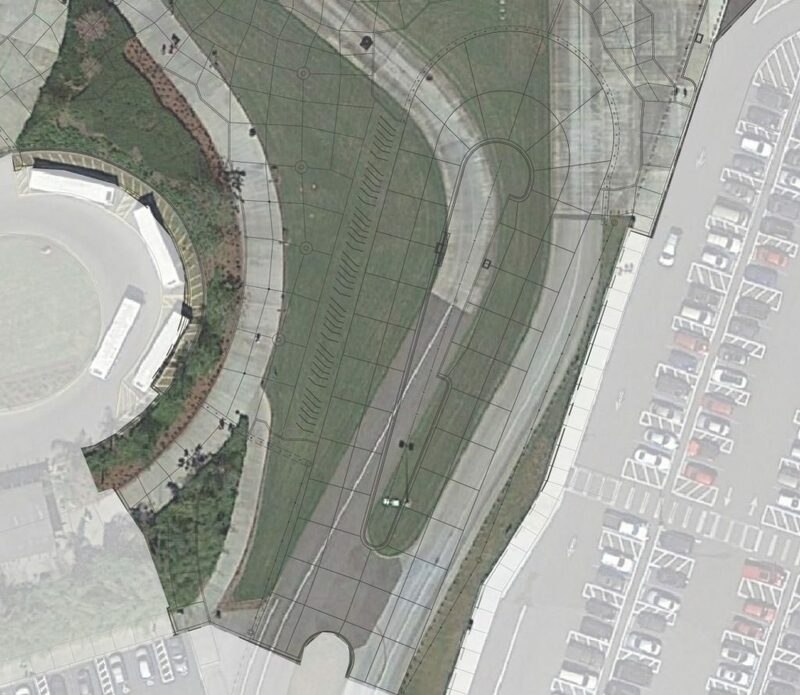 According to the permit, the parking lot tram drop off area will be completely rerouted. The permit proposes a shortened drop off area compared to what exists today. 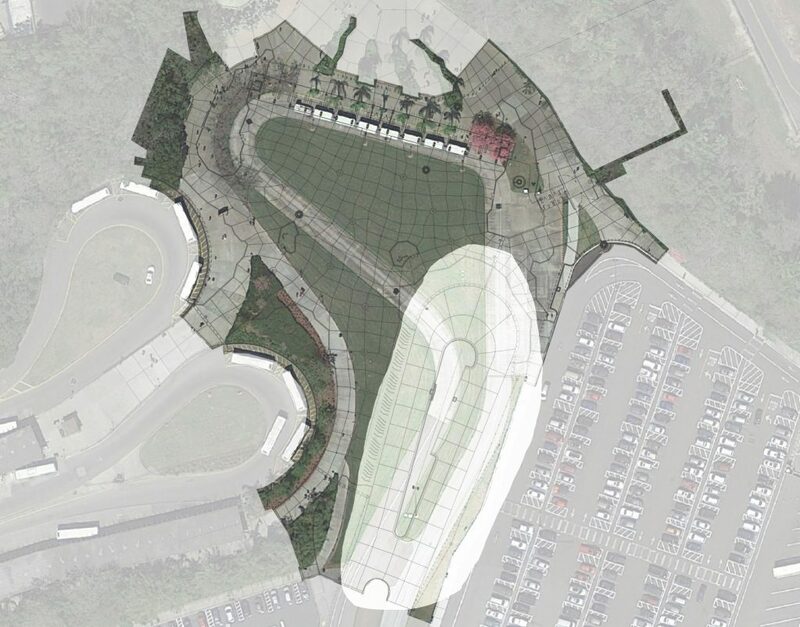 The new drop off area would be 300-350′ further away from the main entrance. We’ve further highlighted the proposed new tram drop off area below. 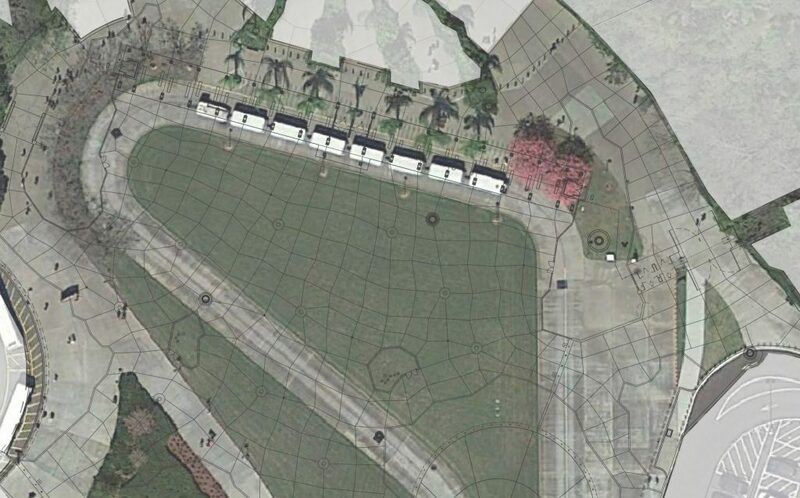 A closer look shows the lanes that guests would stand in to wait for the tram. It appears that bag check will be moving out to where the current tram drop off point is. We’ve zoomed in on the permit to reveal what appears to be the new bag check area. Some interesting points of the permit are highlighted below. Here’s what we see, let us know if you see more! Here’s another document from the permit that shows the new bag check area in a light blue. 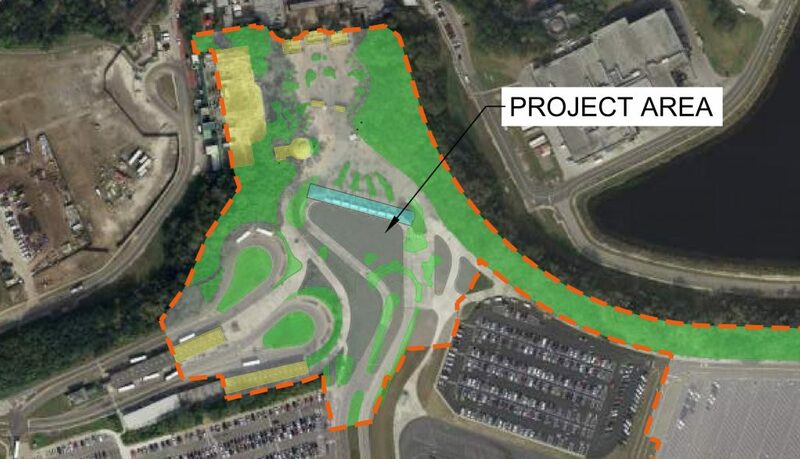 It appears that the work in this permit is similar to what is currently taking place at Disney’s Hollywood Studios with the relocation of their bag check and tram drop off area. As far as this permit is concerned, the official wording on the permit calls for “the construction of a shade structure and hardscape at entrance to Disney’s Animal Kingdom”. This is a breaking news story and we will update it with more information as it becomes available. As always, stick with BlogMickey.com for the latest news on this and many more stories from around Walt Disney World Resort.